We are a leading Manufacturer of hpd200 reverse power protection module, hpd100 reverse power protection module and hvd100 voltage protection module from New Delhi, India. HPD200 Reverse Power Protection Module is a reverse power protection module, which used to monitor the active power of the marine generator. It can offer reverse power protection for parallel and grid connection of marine and land genset. Can accurately detect the reverse power generator, offering timely protection. Power indication, reverse power indication and output status indication. Normally open/close passive contact output. Reverse power threshold and output delay can be adjusted. Modular design, compact structure, small volume, lightweight and easy installation. Guide rail mounting or fixed by crews. Power consumption: when module is under rated voltage, power consumption of voltage circuit is not more than 1.5VA; when module is under rated current, power consumption of current loop is not more than 1VA. HPD100 Reverse Power Protection Module is a monitor active power of generator and use to parallel two generators and parallel one generator with Main Bus. Precisely measure active power of generator. The output is relay free voltage contacts. The point of reverse power is adjustable. The delay of reverse power is adjustable. 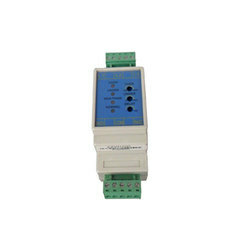 HVD100 Voltage Protection Module is of 3 phase 3 wires, when the voltage occur over voltage, under voltage, miss phase, send out a free voltage output. Monitor over voltage, under voltage, miss phase. The point of over voltage, under voltage is adjustable. The output is a relay free voltage contact.